Boot Tights?! Where have you been all my Life?! These are one of those products that you say - why didn't I think of that?! I always put socks on with my tights- it makes my boots more comfy and keeps my toes toasty. Well some smart cookies must do the same thing because they invented a tight that has a sock attached! As soon as I saw these I needed to try some. I picked up a pair at yellow Boutique in Saratoga http://shopyellowboutique.com/ - I sell my jewelry there and am a frequent shopper. They are true to size and were super comfy all day (Christmas Eve to boot *pun intended*). The socks wicked away moisture without getting gross. And they haven't been washed multiple times yet but I had no rolling of the top or discomfort all day. I'm psyched and plan on picking up more! Have you found any great fashion inventions lately? Hopefully everyone had an amazing holiday filled with lots of love, family and food! It will come as no suprise that handmade gifts are my favorite and my son received a very special one this year. My grandfather made each of his grandchildren a toy chest with their name on it for their first Christmas. 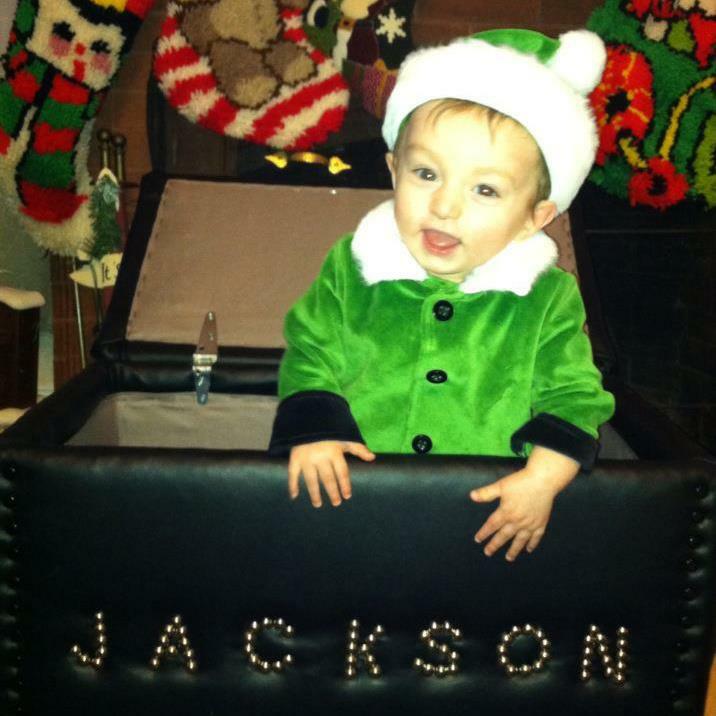 And this year Jackson received his.